I am really proud of the wonderful comments received from "Anywhere In Africa Safaris" clients. At Anywhere in Africa Safaris we handle arrangements for many types of travelers; from multi-generation families to honeymoon couples. Our clients are widely traveled, professional people expecting nothing less than perfection. My team is devoted to ensuring each safari or holiday in Africa is a wonderful unique personal experience and we appreciate that 80% of our clients are either repeat guests or referrals….this says a lot about our service and our deliver of the African journey. 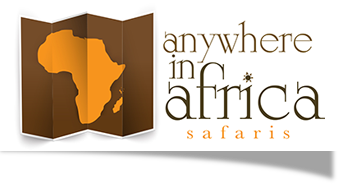 Enjoy reading and sharing our guests personal experiences with ''Anywhere in Africa''. Hi Kirsty, I had an epic trip – there isn't anything more that you could have done from your side, however the equipment could have been in better condition. Catering was good – better than I anticipated and our guides (Dawson and Steven) were fantastic. Thanks again for everything and I will arrange to get your gaiters and gloves back to you. Kirsty, all the trips to Southern and East Africa, that you have booked for us over the years, have been truly wonderful—that’s why we keep returning! But, getting up close and personal with the critically endangered mountain gorillas in Rwanda was nothing short of magical! We can’t wait to go back next year! So happy we got out of our comfort zone and did this trip! You’re the best! Robert and I are all better and I just picked up the pictures today - I can't wait to have time to really look at them but I think we have some winners. All in this entire trip was wonderful and met our expectations. You made every effort to see that we were taken care of and followed up every concern and suggestion. It was a pleasure working with you and meeting you in Cape Town and I will recommend your services whenever I am able to do so. Hi Kirsty, thanks so much for organising these life experiences for us. They were truly exceptional. We couldn't have asked for a better service from and beyond... the friendliness, food, guides... a butler nogal. It was all great! Hi Kirsty, the first camp was great and the people superb. Our guide John was a TOP-notch guide with excellent people skills and a passion for the job that came through constantly! The area where the camp was situated was also excellent! We were lucky and had 5 crossings - one huge crossing with over 10 000 wildebeest. The Ngoro Ngoro Crater was awesome but as you mentioned the camp was not up to scratch, beautiful setting though! The Lamana camp in Lake Manyara was fabulous. Our meals were excellent, staff were wonderful and setting was superior!! The route we followed was excellent. Loved the migration first and the Lake last! Thank you for your efforts! I would definitely visit the Serengeti (north Eastern Camp) again in the future, would love to take my daughter! Charles and Louise came home raving about their trip… a success indeed. Facebook quotes like "the best day of my life" were used. Have a great New Year and all the very best in your ventures in 2014. The train is an amazing trip and surpassed my expectations… room and facilities are amazing for a train. All very organized (passport control etc) and loved it! Can't believe shower. Loved the cards lounge. Nice size of train and number of guests. We are raving to all about the wonderful safari you took us on! The wow was to see the two rhinos mating – what a sight – two giraffe head butting and fighting with their necks. And then to see a street signs that say 'Beware of the hippo!'... couldn't be anywhere else than in Africa. Africa is capturing my heart and it's hard not to surrender to this magical place. Kirsty, we had the most amazing time in Zanzibar and the accommodation at Mtoni Marine Centre was fabulous. We had dinner at a stunning little restaurant called Mercury’s named after Freddie Mercury from Queen…he was born in Stone Town. Thanks for your efficient service and assistance, we will definitely be using you for all our future bookings and trips. Cannot believe it is over! Another week would have been perfect – it was in one word – GREAT! The sea life is fascinating – hundreds of multi-colored tropical fish, even turtles and rays. Thanks again for all the arrangements – you will hear from us again when we plan our next adventure! The highlight of our trip was definitely the Robinson Cruisoe trip – it was fabulous! We were taken to a remote piece of Chale Island where your captain, chef and navigator helps us unpack and set us up on the beach with drinks and then began preparing lunch. We were taken out to snorkel and what an experience – I have never seen such gorgeous fish before with colours that were phenomenal. I will never forget this day and will always cherish this memory. Our wedding day – Kirsty we wish you were there. The hotel made a beautiful arch on the beach out of platted palms and draped flowers all over them. They made heart shaped plaited palms on the backs of our chairs and draped flowers all around them. The blessing by the elder was done in Swahili. Four Masai warriors fetched me from my villa and escorted me to the beach chanting to where Dale was waiting for me. The evening flowed – barbeque and traditional Maasai dancing attended by all the hotel guests – a night to remember! Kirsty thank you for arranging this most memorable wedding and honeymoon – we couldn’t have dreamed of anything better.